By directing rain and melting snow away from your home, your gutters protect your roof from leaks, your windows from rot, and your foundation from erosion. Not all gutter materials offer the same benefits, though. 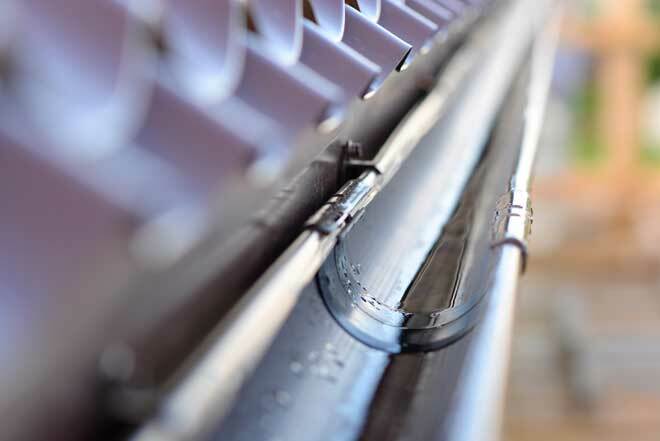 Low cost and ease of installation have helped vinyl and aluminum gutters gain popularity, but some situations call for the leak-resistance and strength of steel gutters. Doing your research will help you find the material that meets the demands of your climate and your budget. If you’re on a tight budget, in a mild, dry climate or considering DIY installation, vinyl gutters will meet your needs. On the downside, they don’t last as long as metal gutters. Vinyl (PVC) gutters have become a popular choice largely due to their low price and light weight. You can find these gutters for around $3 to $5 per 10-foot section. Because they’re lightweight, they’re easy to handle and install. The sections snap together and don’t require joints or riveting. This cuts down on the time and cost of professional installation and even makes DIY installation possible. Vinyl gutters are also low maintenance. They won’t rust or corrode and won’t be dented by wind-blown tree limbs or badly placed ladders. The color is embedded in the material, rather than painted or powder-coated on, so scratches and dings are less noticeable. These gutters come in a wide variety of colors, so you won’t have to paint them to match your roof. 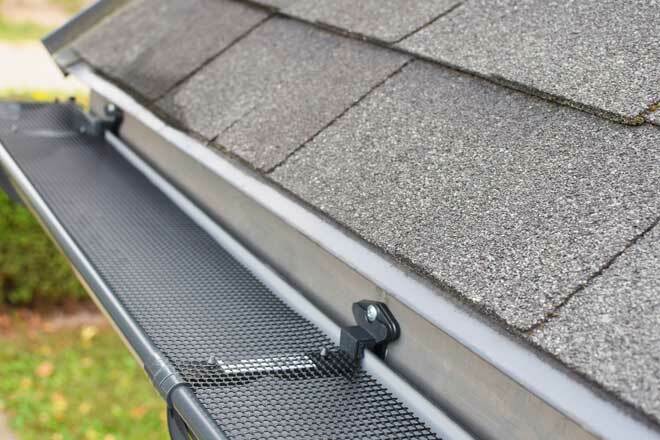 Due to their light weight, vinyl gutters won’t hold up in climates that see a lot of rain, snow or strong winds. They’re best suited to mild, dry climates. Although they won’t corrode, they’re prone to sagging and cracking, and don’t last particularly long. They’re only available as traditional sectional models, which have more seams than seamless models. Because their seams aren’t soldered, as in some metal gutters, they’re more likely to leak. If installed in a dry climate and properly maintained, they can keep working for up to 20 years. In a wetter climate, they might not even make it 10 years. Steels gutters can take years of abuse from inclement weather and still perform perfectly. The most durable models don’t come cheap, though. Steel gutters are available in both galvanized steel and stainless steel versions. The main difference between the two is their resistance to rust and corrosion. Galvanized steel, despite its protective coating, will usually be destroyed by rust within 20 years. Stainless steel won’t rust or corrode at all, so you can expect these gutters to last for several decades. Beyond this, both are exceptionally tough and stand up to snow, hail, wind, and heat without sustaining dents or cracks. Steel gutters are available in seamless models and seamed models. In seamed steel gutters, the seams are soldered and riveted, so they’re less likely to leak. Unlike aluminum gutters, steel gutters can be used with any type of shingle without added risk of corrosion. Steel, like all metal, expands and contracts with heat, which can weaken it over time. That said, it’s still a better option for hot climates than vinyl. Stainless steel’s ability to ward off rust and corrosion make it more durable, but it also makes stainless steel gutters around twice as expensive as galvanized steel models. Because their weight makes them hard to handle and their joints require soldering, installation costs are higher than for vinyl or aluminum gutters. Some installers won’t work with steel gutters, so you might have trouble finding someone to do the installation. Their limited popularity also makes these gutters harder to find. Steel gutters come in a smaller variety of colors and styles compared to vinyl or even aluminum models. Seamless models are particularly hard to find. If you want your steel gutters to match your house, you’ll need to paint them. On the plus side, this gives you the chance to get an exact match. More durable than vinyl yet easier to install than steel, aluminum gutters offer a good balance between cost and longevity. Aluminum is the most popular choice for gutters, largely because it combines many of the benefits of vinyl and steel. Like steel, it won’t sag, but it’s much lighter and easier to handle, making aluminum gutters easier to install than steel models. Aluminum won’t rust, although it can corrode from long term exposure to moisture and salt, which is a risk in coastal climates. In most climates, aluminum gutters will hold up for 20 years or longer. Thanks to their popularity, they’re easy to find and come in a wide variety of colors and styles. You can also paint them if you can’t find the exact color you want. Aluminum gutters are more durable than vinyl models, but generally won’t last as long as stainless steel models. Because they’re easily damaged by heavy snow, hail, and wind, they aren’t a practical option for some climates. Minor dents won’t impair their function, but larger ones can interfere with the flow of water and should be repaired. 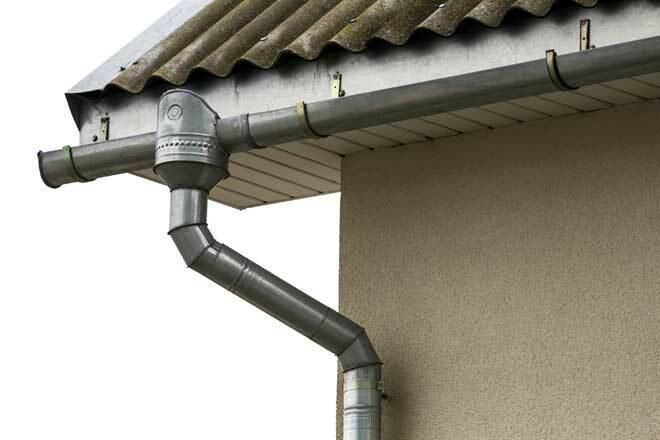 These gutters are also somewhat more likely to leak around the joints compared to steel models. Aluminum gutters shouldn’t be used with a roof that has copper flashing or algae-resistant shingles, which contain copper particles. The small amount of copper washing off the roof will speed up the corrosion of the aluminum. Most aluminum gutters come with an enamel coating that gradually wears away. To keep your gutters looking good, you’ll need to paint them at some point. 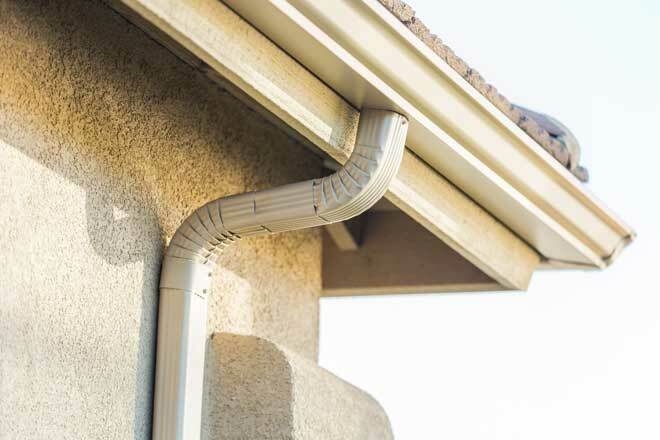 Choose the right gutter material for your needs, and you’ll enjoy years of trouble-free protection from water damage. For a low-cost option in a mild climate that doesn’t see much rain, vinyl gutters are a practical choice. If your area sees frequent rain or snowstorms, though, you’ll be better off with heavy gauge aluminum gutters or steel gutters.